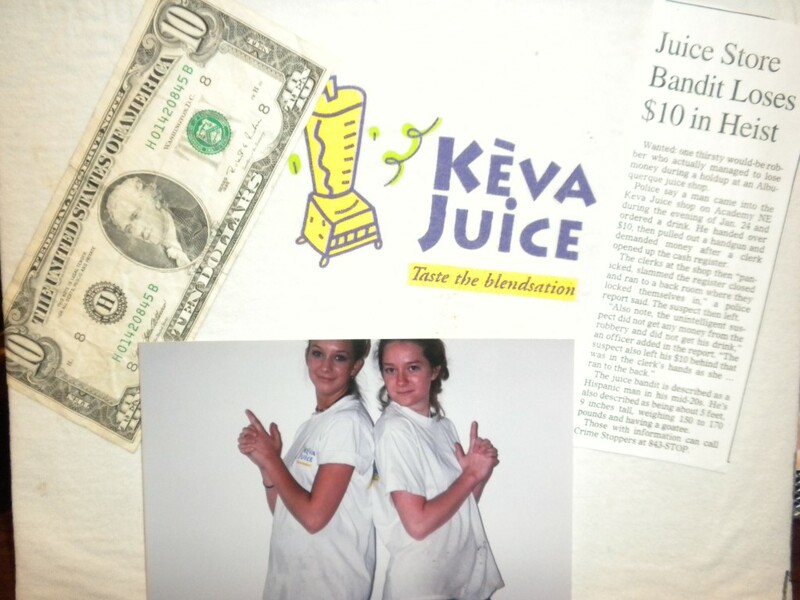 One of our many adventures at Keva Juice with the Keva tribe! We at Keva Juice wonder what this bandit's thug friends would say.... Can you say dumbest criminals? The Keva tribe always wins! Wanted: one thirsty would-be robber who actually managed to lose money during a holdup at an Albuquerque juice shop. Police say a man came into the Keva Juice shop on Academy NE during the evening of Jan. 24 and ordered a drink. He handed over $10, then pulled out a handgun and demanded money after a clerk opened up the cash register. The clerks at the shop then “panicked, slammed the register closed and ran to a back room where they locked themselves in,” a police report said. The suspect then left. “Also note, the unintelligent suspect did not get any money from the robbery and did not get his drink,” an officer added to the report. “The suspect also left his $10 behind that was in the clerk’s hands as she … ran to the back.” The juice bandit is described as a Hispanic man in his mid-20s. He’s aslo decribed as being about 5 feet, 9 inches tall, weighing 150 to 170 pounds and having a goatee. Those with information can call Crime Stoppers at 843-STOP.